Zero Power Sensors Imaging a sensor that can lie on standby for years until triggered by infrared wavelengths, which it is built to detect. It could be used for detecting burglars, security threats, mobility, fire, fuel burning cars and much more. Thanks to researchers at Northeastern University (NEU) in Boston, the next generation smart sensor uses the infrared wavelengths it is programmed to detect to power itself. It's self-sustaining technological innovation that's green and environmentally clean. NEU researchers have developed it for the US Defense Department's Advanced Research Projects Agency DARPA. They call it "Zero-Power Sensors". The infrared light waves the sensor detects aren't visible to the human eye. And, they are abundant from, for example people, fires, emissions and cars. They're easily detected by the smart sensor from virtually any location. It's a first of its kind infrared digitizing sensor that consumes no power in standby and is activated and powered by the infrared wavelengths it's designed to detect and alert. The breakthrough is that these next generation smart sensors don't need to be wired for electricity. They're zero-power needs makes it possible to place them virtually anywhere. For example, they can be placed deep down in a mining project or nuclear plant to detect the start of a fire or dangerous leaks. 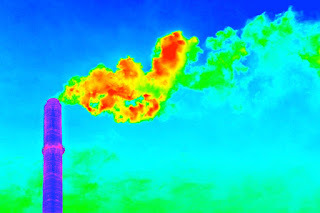 Other uses of the nanotechnology could include embedding the sensors in the environment for real-time information on environmental stressors, monitoring air quality indoors, monitoring air pollution patterns, spotting security breaches or traffic problems and identifying wildfires before they burn out of control.